Population density in Patagonia is one of the lowest in the world, with approximately 1-2 persons per square kilometre. 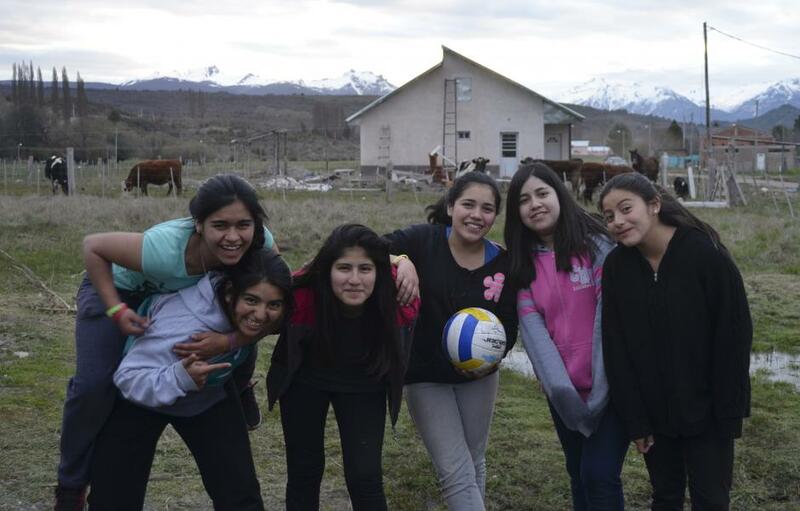 Communities in rural Patagonia are isolated and underserved, with many lacking access to clean water, electricity, education, and healthcare. The absence of quality schools in the area—particularly those providing culturally appropriate, practical education—has led to high levels of school dropout and illiteracy rates. As few opportunities exist for local employment, most adolescents and youth end-up migrating to urban areas. (ii) Centro Educativo Agrotécnico Valle de Cholila (CEA), established in 2008 and operating in Cholila, Chubut Province. Both schools provide a balanced combination of theory and practical skills to youth from rural, isolated communities, effectively preparing them to join the labour market. FCP’s schools also serve as incubators for community development, microenterprise development, women’s empowerment, and environmental conservation. Most graduates go on to pursue university studies, find employment in various local sectors, and/or establish their own businesses. EMpower’s 7th and final grant to FCP will provide institutional strengthening support for organizational development, including continued improvement of Human Resources management, fundraising and strategic planning capacities. Where is Fundación Cruzada Patagonica (FCP)? You can support our work with Fundación Cruzada Patagonica (FCP) and our other grantee partners.